Yes, you all read it right. Baby #3 is currently in my tummy. And that is also the reason why I'd been so quiet lately in my blog. 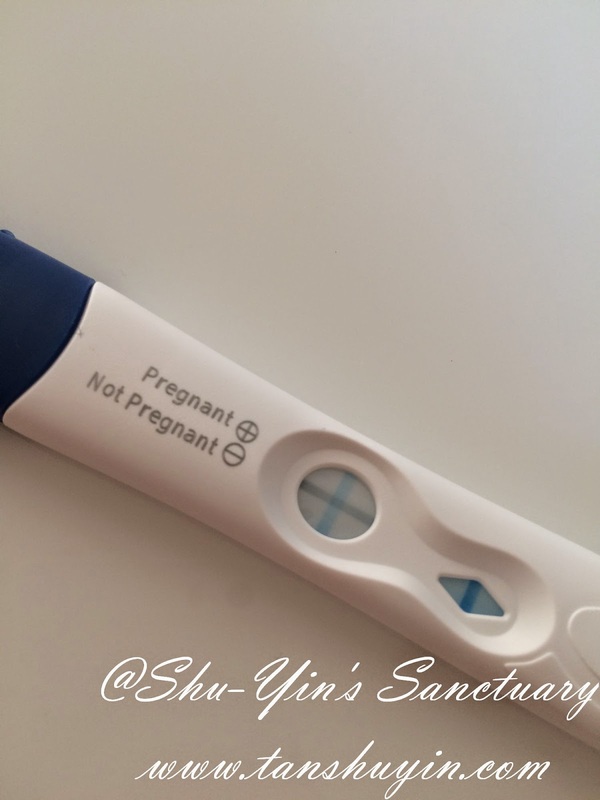 We found out end of Nov, right on the dot on the day I missed my monthly menstrual. I was feeling great then, until morning sickness started kicking in 2 weeks later. And since then, all I wanted to do was to just lie in bed the whole day. Yes, seriously. I didn't actually vomit every day. But I feel like vomitting e.v.e.r.y d.a.y. You know the feeling where your tummy churns and you need to take every effort to keep your food in. It was like as if I was experiencing air sickness/motion sickness every day. And this is not a very nice feeling. And because of that I couldn't eat. I had no appetite. I basically could only stomach about one meal a day and that was it. And the rest of the day I felt that my tummy couldn't even digest that one meal. And so that was how my weight dwindled down from 51.5kg to 48kg. And it was the school holidays then when the kids were home 24/7. And I nearly fainted when the govt announced an extra week of holiday entension due to the flood. I am so forever thankful to have my parents and Ah-Yee nearby (as long as they have not fly off to some holiday destination!). They helped me looked after the kids when I felt so tired and overwhelmed. And my house was in such a mess these days that I gave warning to the hubby not to allow anyone to our house without giving prior warning. lol. And so today is already Week 12 of my pregnancy, and I am starting to feel a little better. Little Bun is about the size of a large plum in my tummy and is growing well, with a reassuring strong heartbeat when I heard it 2 days ago. I also just did my 1st trimester screening and hopefully everything turns out ok.
And so this is it, me being pregnant with baby#3. I've always wanted 3 babies and now that the number is real and growing in my tummy, I am beginning to feel a little nervous. 3 kids, gulp, who am I kidding? Ok, take a deep breath and exhale........I can do it. And so this is what it means by 4 + 1. Hubby. Me. Shern. Khye + Little Bun. Oh my goodness! Number three! And the adventure begins again ^_^ Heartiest congratulations and looking forward to following your journey third time round.